Two dimensional beam deflection is often required in medical laser scanning systems. 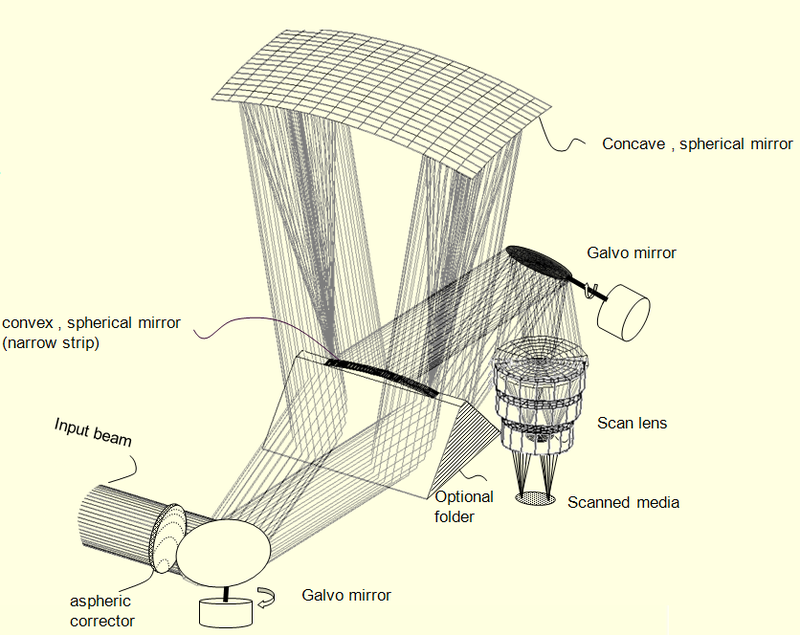 Two linear galvo mirrors are commonly used for their large apertures and scan angles performance. The galvos are placed at the vicinity of the scan lens entrance pupil with a “displacement distance” separating them. This distance limits the scan fields and/or reduces the effective aperture of the scan lens. Another option is to use a beam relay, to relay one galvo onto the other. US application pending and published.